Crown Prince Sultan bin Abdul Aziz is Deputy Prime Minister and Minister of Defense and Aviation and Inspector General. Born in Riyadh in 1928 and educated at the Royal Court, HRH Prince Sultan became Minister of Agriculture in 1953 and Minister of Communications in 1955. He has been Minister of Defense and Aviation and Inspector General since 1963. In 1982, on the accession of King Fahd, Prince Sultan was named Second Deputy Prime Minister. On the death of King Fahd on 1st August, 2005, Sultan became Crown Prince and Deputy Prime Minister. 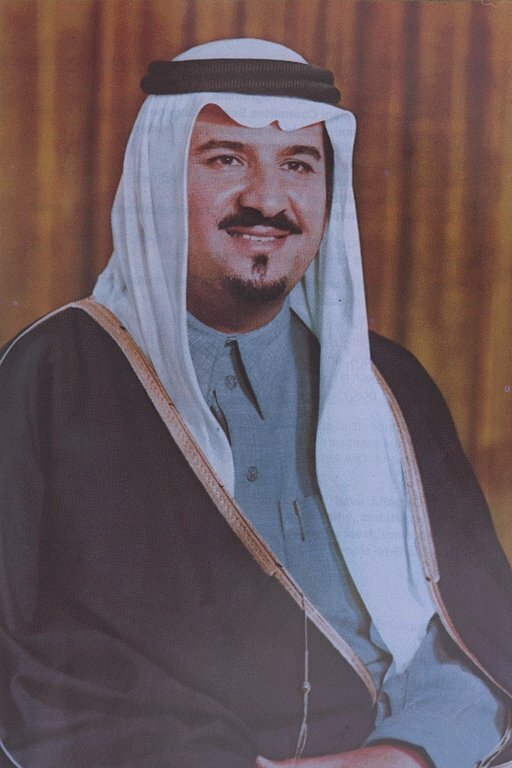 In 1963, Crown Prince Sultan was appointed Minister of Defense and Aviation, an appointment he still holds. In this role, Crown Prince Sultan has presided over the development of Saudi Arabia’s army, navy and airforce, providing the Kingdom with a modern, well-equipped and well-trained defense capability, based on a network of military cities across the Kingdom. Crown Prince Sultan is also Chairman of the Board of Saudi Arabian Airlines, the Kingdom’s national airline. Crown Prince Sultan has shown a particular interest in the conservation of wildlife indigenous to the Kingdom. He is Chairman of the National Commission for Wildlife Conservation, an organization he founded in 1986. In addition to his other responsibilities, Crown Prince Sultan is Chairman of the Higher Council for Islamic Affairs (an organization committed to the service of Muslim communities and Muslim minorities around the world). He is the founder of the Prince Sultan Bin Abdul Aziz Charity Foundation, established in 1995 to provide social and health services and rehabilitation for the disabled. On the international front, Crown Prince Sultan has conducted a number of official visits to Arab and other Muslim countries, and to many other countries around the world. He led the Saudi delegation to the 40th session of the United Nations General Assembly in 1985, and again to the 50th anniversary in 1995.